How many times have you overheard someone say “One day I’m going to set up my own business and be my own boss”? Maybe you’ve even said it yourself, have you? Thousands of people in this country, and around the world, harbour ambitions to break free of the ‘Rat Race’ and own their own business. Many achieve this ambition, others try but fail! But very many more don’t even make the attempt. With some it’s fear of failure. Others suffer from a fear of success – will they be able to handle it? Some were never serious in the first place. But for the majority of those who don’t try it’s because they simply don’t know how! Throughout the ‘Be Your Own Boss‘ website you will find information and articles to help. Use the Categories and Pages in the right hand column of the page to find information on a wide range of business topics as well as suggestions of various products, services and business tools to assist you to Become Your Own Boss. 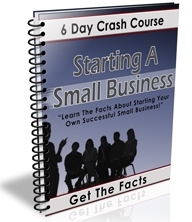 There are many routes to becoming the owner of a successful business. But it is also possible to become your own boss without actually starting or running a conventional business. Oh Yes! For many the true goal is personal and financial freedom. The ability to go where you wish and do what you wish without the hindrance of a J.O.B. For many in poorly paid and/or emotionally unrewarding employment the term ‘job’ means ‘Just Over Broke’. While starting up and building a business can be stimulating and rewarding both financially and emotionally for some, for many others it can result in stress, worry and a different kind of trap. They need a different kind of freedom, one in which they can follow their dreams of independence without being tied down by the responsibilities of a conventional business. We’ve not forgotten these people! Buying and selling antiques and collectables, selling other people’s products and services on a commission basis or buying and selling shares and other traded investments are a few examples. Others include providing personal services in things they enjoy doing (e.g. baby sitting, dog walking, golf caddying, guided walks) on a casual basis as required or just when they feel like it. More recently events such as car boot sales, village fetes and fayres, garage sales, street entertainment etc. have given people the opportunity to earn money without being tied down. The latest opportunities have arisen from the phenomenal growth of the Internet and World Wide Web. Auction sites like eBay have given huge numbers of people the chance to make serious incomes either as casual sellers or by setting up business on eBay. Similar non-auction opportunities are available from the likes of Shopify, Etsy and Amazon. The growth of Affiliate Marketing, i.e. promoting other people’s websites and products on commission, has been outstanding. This has enabled many people to earn full time incomes from part time online activity. They are able to work when they like and where they like, even whilst travelling, because of the ability to do everything via an internet connection. So, becoming your own boss is not just about running a business, it is about becoming truly independent of the job market and realising your own ambitions in your own particular way. Good fortune in your quest! I very much hope that our Be Your Own Boss website can help you on your way.